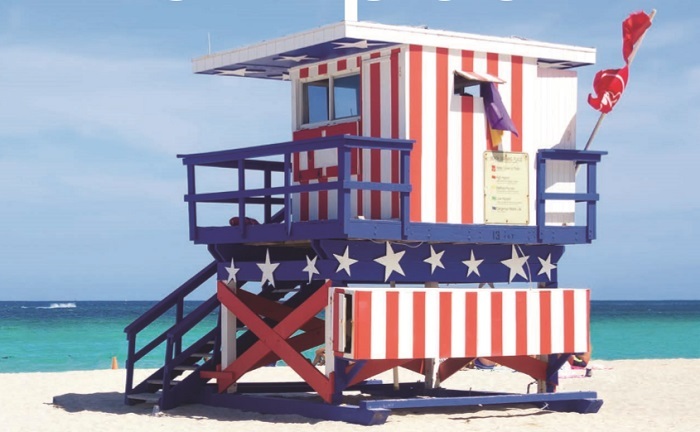 Iconic South Beach is close to the port, with its dreamy golden sands, trendy restaurants and a lively club scene. And don’t miss postcard- pretty Ocean Drive, where the pastel-coloured Art Deco hotels are positively dripping with 1930s Hollywood glamour. Miami is a sports-mad city with major league football, basketball, hockey and baseball teams, so for the essential US experience why not catch a game while you’re there? For culture vultures there’s a world-class arts scene, and you’ll find it all at the modern architectural masterpiece that is the Adrienne Arsht Center, where the Florida Grand Opera, Miami City Ballet and New World Symphony Orchestra all make their home. 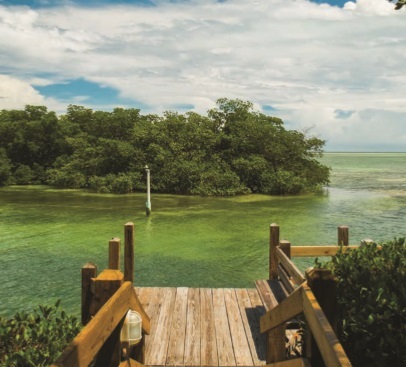 Escape to the wilderness on an airboat cruise through the 10,000 islands of Everglades National Park – or hire an open-top Mustang and take a road trip on th e famous US1 highway. For an all-American day out, drive from Key West to Key Largo, stopping at a diner en route. Too hot? Cool off with a snorkelling adventure, take a glass-bottom boat cruise or a parasailing ride. And back in Key West, don’t miss Ernest Hemingway’s house. The famous author spent a decade at this evocative Spanish-style colonial mansion, and descendants of his six-toed cats still rule the roost. In the evening it’s all about the sunset, so hang out in Mallory Square for a sundowner. This giant dock began life transporting orange juice to New York in the 1950s. It now welcomes four million passengers a year, many of them choosing a cruise-and-stay option to visit Florida’s famous theme parks. White-knuckle fans will love Busch Gardens’ new Cobra’s Curse, and good luck as you rocket backwards, forwards and spin at 40mph down a 2,100ft serpentine track. 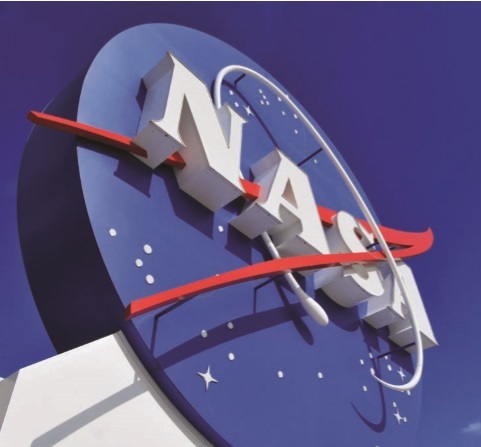 Don’t miss Epcot, Disney’s 300-acre celebration of all things technological, and remember Cape Canaveral was the centre of the space programme, from where US astronauts made it to the Moon. If you prefer to go back to nature, the Canaveral National Seashore offers 24 miles of unspoiled beaches with beautiful walking and bike trails, and the region is also a birdwatcher’s paradise, with some 310 resident species including brown pelicans, great blue herons, storks and ospreys. Fly in early to embrace this fabulous city with its cable cars, its famous waterfront, the Golden Gate Bridge and those impossibly steep, switchback streets, familiar from countless films. San Francisco is a treat for architecture bu ffs, with ultra-modern buildings as well as brightly painted Victorian townhouses, many with beautifully kept gardens. There’s counterculture too, thanks to the city’s role as the birthplace of the hippy movement. And you won’t want to miss Alcatraz, the famous prison island in the middle of San Francisco Bay. Originally built as a lighthouse, this high-security jail operated for 29 years until the early 1960s and was considered impossible to escape from. Thirty-six prisoners tried and none made it to freedom – save five listed as “missing and presumed drowned”. So who really knows? Pull on your blue suede shoes and take a trip through music history. Early gospel singers walked Route 61 into Memphis, and you can follow in their footsteps straight to Beale Street – the city’s beating heart, where the rock never stops rolling. The Stax Studio – now a museum – launched the careers of Otis Redding, Wilson Pickett and Isaac Hayes, among many others, and as for Elvis, the city’s favourite son, he’s everywhere. Presley cut his first hits at Sam Phillips’ Sun Studio on Union Avenue, and this modest little building is where rock’n’roll pilgrims should head before paying their respects at Graceland, the mansion that’s now a shrine to The King, with displays of his cars, planes, gold discs and jaw-dropping stage gear. 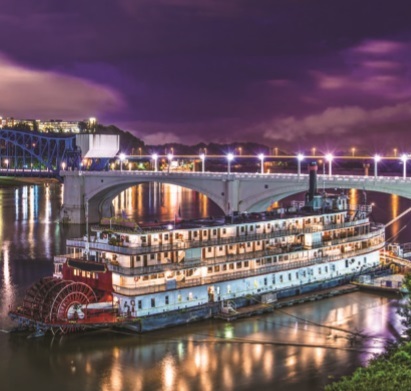 The American Queen Steamboat Company o ffers a series of themed cruises aboard a classic Mississippi riverboat, and Presley fans can take an Elvis tour from Memphis to New Orleans, with stop-o ffs throughout the historic Deep South. Book an early alarm call and climb to Queen Mary 2’s highest deck. Dawn should be breaking just as she inches under the Verrazano Bridge, slowly revealing the Big Apple in all its fabulous glory. Any sailing between the UK and New York is not so much a cruise, more an epic voyage. Almost every historic figure of the 20th century made that trip – many of their portraits hang on QM2’s walls – not to mention the millions of ordinary emigrants who made the US the country it is today. The original Queen Mary captured the Blue Riband for the fastest Transatlantic crossing in 1936, taking just under four days. She held her record for 14 years, but in these fuel-conscious times the QM2 covers the 3,000 nautical miles in a more relaxed six or seven days – giving you all the leisure time you need to enjoy this amazing and newly refurbished ship. 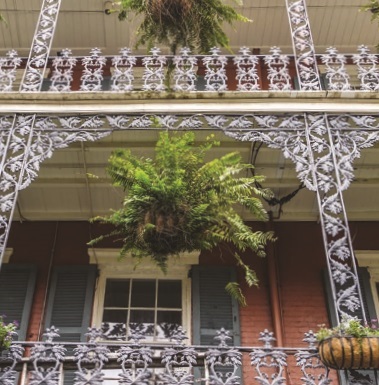 You might cruise in for the Mardi Gras celebrations in February – though you’ll find the Big Easy is pretty lively at any time of year. Jump ashore from t he Erato Street and Julia Street cruise terminals and you’re just five minutes from the city centre. Start the day how you mean to go on with a cocktail and three-course breakfast at Brennan’s, the restaurant that’s also famous for its Bananas Foster, flamed in rum at your table. Bourbon Street’s clubs and jazz bars open until the early hours (check out the revolving Carousel Bar at Hotel Monteleone) so a pre or post-extension stay is always a tempting proposition. If it’s a family trip, take a boat tour through the Louisiana swamps and scare the folks back home with your alligator snaps. The St Charles streetcar also offers a fun ride – it’s the world’s oldest, and at $3 for an all-day ticket it’s worth a shake, rattle and rolling ride around the city. 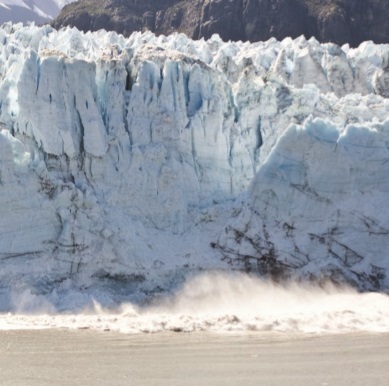 The Alaskan cruise season runs from May to September, with high season from June to August. One million passengers sail to the 49th state every year because cruising is the best – in fact the only – way to explore America’s wilderness in comfort and style (see our feature on page 43 if you fancy getting a little closer to nature). Most choose the Inside Passage route, though it’s worth considering new opportunities to add a land extension to your holiday. Holland America Line has created a hub at McKinley Chalet Resort in Denali, and a typical land package allows guests to visit Denali National Park and the beautiful Kenai Peninsula. In 2018, Emerald Princess will debut with an Inside Passage voyage to destinations including Skagway and Ketchikan, departing from Los Angeles, but you may prefer a small ship which can access the lesser- known sights. One of the oldest US cities, and with stunning scenery (especially when the famous New England colour breaks out in autumn) Boston has much to offer cruise passengers. The American War of Independence was mostly fought in or near the city, and you can get a whiff of grapeshot on the Freedom Trail, a two-and-a-half mile walk from Boston Common, where the revolutionary army mustered, to Bunker Hill, scene of the first battle (a narrow victory for the British). And if all that fighting makes you thirsty, you can call in at America’s oldest bar, the Bell in Hand tavern. 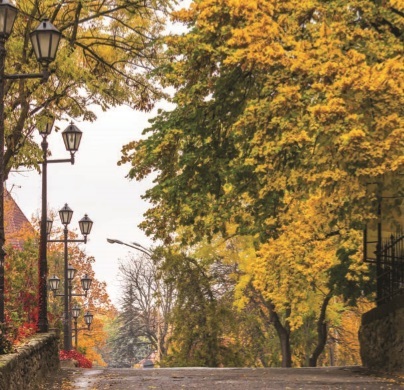 Sailings from the city include calls at Washington DC, Baltimore, Philadelphia and New York, as well as smaller destinations such as Newport and the celebrity haven of Martha’s Vineyard. Welcome to LA, where the must-sees include Disneyland and Universal Studios. 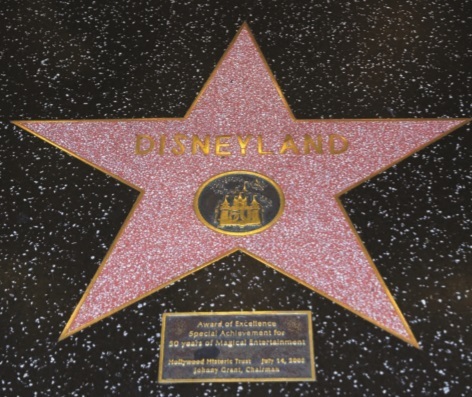 You’ll want to take a guided tour past celebrity homes – and with most guides being resting actors who tr eat every tour as an audition, you can expect a theatrical commentary. Then head for Hollywood Boulevard with its star-spangled Walk of Fame and the Roosevelt Hotel, where the first Oscars were awarded in 1929. But there’s more to the city of angels than showbiz. The Getty Museum is a fine international art collection housed in a stunning building, while great days out include Long Beach to see the former Cunard liner Queen Mary, now a museum. If you happen to have a film-star income and a few months to spare, Regent Seven Seas Navigator’s world voyage will leave Los Angeles on January 8, 2018, visiting five continents, 28 countries and 64 ports of call (see rssc.com). Sleepless in Seattle? Check out the city’s 524ft Space Needle and marvel at the twinkling panorama below. In daylight, the tower gives visitors a snapshot view over Puget Sound to Lake Union and the Cascade Mountains beyond. Close by is the Experience Music Project, an extraordinary mash-up of architecture and rock ’n’ roll, thought up by Microsoft cocreator Paul Allen. 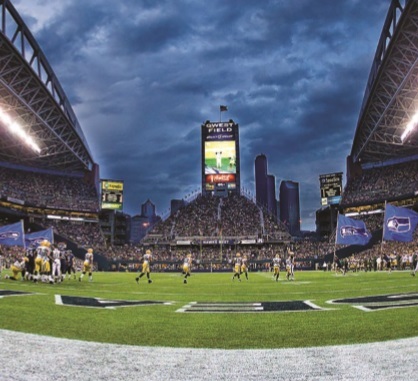 And if you’re a sports fan, take in CenturyLink field, home of the Seattle Seahawks, recent winners of the Super Bowl and one of the top American football teams. For a more relaxed day out, wander down to Pike Place Market on the waterfront, watch the crowds go by and explore the stalls selling everything from flowers and fish to arts and crafts. If you see lots of tourists taking photos, you’ve probably arrived at the world’s oldest Starbucks. Well – for today’s teens that probably counts as a historic monument. 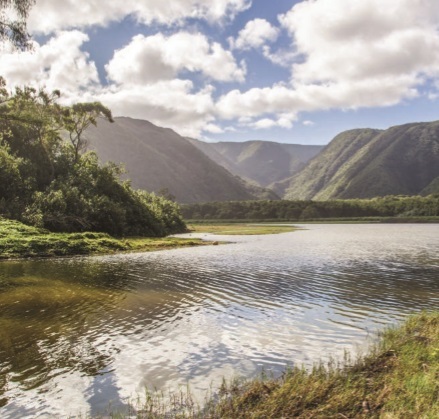 On January 19, 1778, Captain James Cook anchored his ships close to the Waimea River, becoming the first in a long line of enthusiastic visitors to this volcanic archipelago. Today the 50th state is a playground for Americans – particularly if they like to surf – but relatively few Brits follow in Captain Cook’s wake. Admittedly, Hawaii is a challenging distance from the UK, but consider a cruisestay holiday in California. There are dozens of cruises from West Coast ports, so shop around for a deal. Of the six main islands, Oahu is home to the state’s only big city, Honolulu, with the famous crescent of Waikiki Beach and memorials to the servicemen lost at Pearl Harbor. A short hop to the south, Hawaii Island boasts the Volcanoes National Park, where you can watch new landscape forming as lava flows before your eyes. MS WESTERDAM 25 nights from £3,099, departing San Diego (round trip) on February 7, 2017.